Work one-on-one with your LICENSED THERAPIST for 1 full hour at each appointment. Learn WHAT to work on and WHY it's working for your injury. 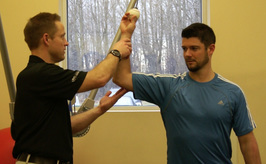 Integrate innovative functional therapies to get better quicker, faster and stronger. Understand benefits, coverage and costs. 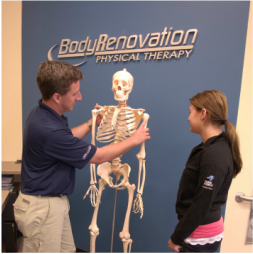 Use BRPT as your resource for top doctors in the area, based on YOUR injury. sports medicine, pre/post-surgery, conditioning, etc.) ... we do it. With our therapists' extensive backgrounds, we've seen AND successfully rehabbed a LOT of patients. NO aides. NO assistants. Trigger points, or "knots,' in the muscle hinder muscle function and can impede therapy. Certified at the highest level, BRPT therapists can release those knots. That moves your care forward ... efficiently and cost-effectively. Hands-on care has been shown to effectively help muscles, joints, and deep connective tissue move. From there, we can re-train your body to move correctly. Injury can cause decreased motion within connective tissue that surrounds organs, causing pain. Gentle visceral mobilization of these tissues can improve motion, help decrease pain and improve overall function. full gait analysis and custom orthotics suited for everyday life and sport-related activities. More often than not, BRPT comes in more cost-effective than other outlets. Understanding movement and how an individual body responds to what is required in any sport is key to proper preparation, strength & conditioning. And, YES, your training needs to be specific to your sport. There is no "one size fits all" approach.